Is SCANA Corporation (SCG) Going to Burn These Hedge Funds? Insider Monkey has processed numerous 13F filings of hedge funds and famous investors to create an extensive database of hedge fund holdings. The 13F filings show the hedge funds and investors’ positions as of the end of the third quarter. You can find write-ups about an individual hedge fund’s trades on several financial news websites. 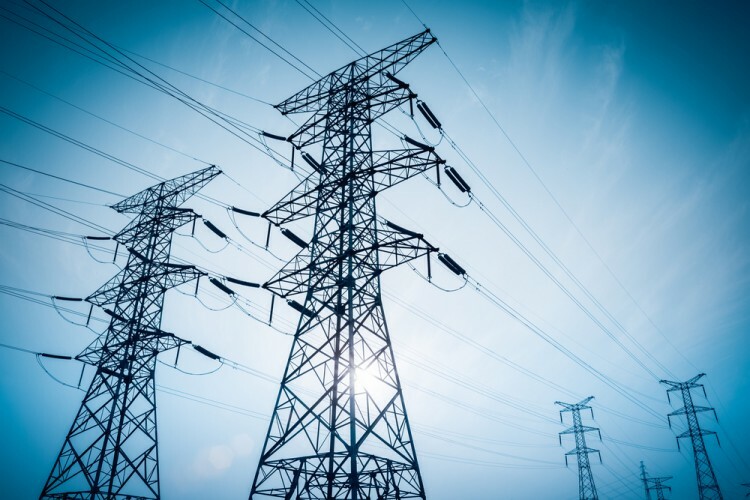 However, in this article we will take a look at their collective moves and analyze what the smart money thinks of SCANA Corporation (NYSE:SCG) based on that data. Is SCANA Corporation (NYSE:SCG) a splendid investment today? The smart money is buying. The number of long hedge fund positions that are disclosed in regulatory 13F filings strengthened by 2 lately. There were 16 hedge funds in our database with SCG positions at the end of the previous quarter. At the end of this article we will also compare SCG to other stocks including ServiceNow Inc (NYSE:NOW), AMETEK, Inc. (NYSE:AME), and Regions Financial Corporation (NYSE:RF) to get a better sense of its popularity. Keeping this in mind, we’re going to take a look at the fresh action regarding SCANA Corporation (NYSE:SCG). What have hedge funds been doing with SCANA Corporation (NYSE:SCG)? Heading into the fourth quarter of 2016, a total of 18 of the hedge funds tracked by Insider Monkey were bullish on this stock, up 13% from one quarter earlier. 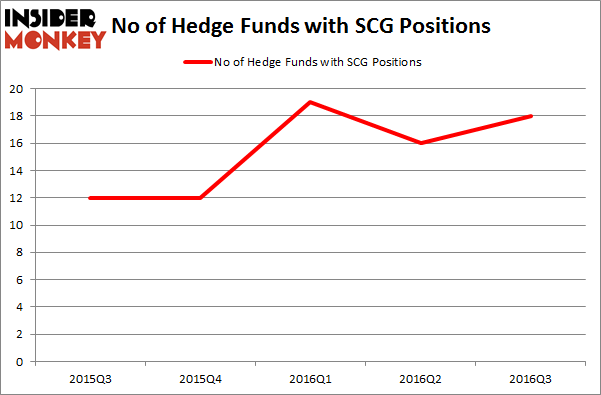 The graph below displays the number of hedge funds with bullish position in SCG over the last 5 quarters. With the smart money’s capital changing hands, there exists a few noteworthy hedge fund managers who were upping their stakes meaningfully (or already accumulated large positions). According to publicly available hedge fund and institutional investor holdings data compiled by Insider Monkey, AQR Capital Management, led by Cliff Asness, holds the most valuable position in SCANA Corporation (NYSE:SCG). According to regulatory filings, the fund has a $135.5 million position in the stock, comprising 0.2% of its 13F portfolio. Sitting at the No. 2 spot is Israel Englander’s Millennium Management holding a $66.4 million position; 0.1% of its 13F portfolio is allocated to the stock. Some other peers with similar optimism consist of Jim Simons’s Renaissance Technologies, Jos Shaver’s Electron Capital Partners and Louis Navellier’s Navellier & Associates. We should note that Electron Capital Partners is among our list of the 100 best performing hedge funds which is based on the performance of their 13F long positions in non-microcap stocks. Should You Buy BJ’s Restaurants, Inc. (BJRI)? Biotech Movers: Heat Biologics Inc (HTBX) And Achaogen Inc (AKAO) Has Hedge Fund Ownership in Welltower Inc. (HCN) Finally Bottomed Out? How Big Lots, Inc. (BIG) Stacks Up To Its Peers Infosys Ltd ADR (INFY): Are Hedge Funds Right About This Stock? Is WebMD Health Corp. (WBMD) A Good Stock To Buy?